Glowing pink in the setting sun, with Table Mountain as a majestic backdrop, the Castle of Good Hope played host to one of the most romantic evenings of the year. 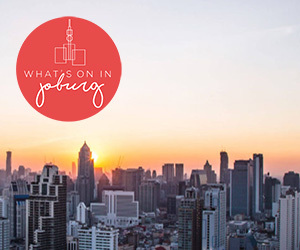 The ‘Valentine Under the Stars’ classic-meets-pop concert, featuring South African soprano Magdalene Minnaar and classical crossover singer Selim Kagee, was highly anticipated after last year’s grand success. Dressed up to the nines, guests strolled over the ancient cobblestones to gather in the Castle’s courtyard over a complimentary glass of champagne. Elegant food stalls and wine bars were available for those who chose to arrive early and dine in the atmospheric grounds of Cape Town’s oldest building. Despite a relentless south easter, which created havoc in many a hairdo and randomly lifted elegant dresses, the concert goers were relaxed and cheerful, finding shelter against the wind in corners and under arches. Braving the unfavourable conditions, the Cape Town Philharmonic Orchestra, under the baton of Brandon Phillips, got the evening’s programme off to an enjoyable start with melodies from Carmen by Georges Bizet, and a merry rendition of ‘Let’s Do It, Let’s Fall in Love’. Minnaar, Kagee and the evening’s MC, Katlego Maboe, set the tone for the rest of the night, providing some much-needed lightheartedness, as everyone struggled to relax in the face of the wind. Maboe’s charming stage presence soon had everyone smiling, with a charisma and improvisational talent which enchanted the crowd and added extra sparkle to the event. Highly accomplished soprano Magdalene Minnaar, dressed in a gorgeous red dress, delivered an outstanding performance. Reaching extremely high notes with as much ease as the lower register, she amazed the audience with her grace and her exceptional ability to perform across genres, with highlights including ‘Quando m’en vo’ from La Boheme, Celine Dion’s ‘My Heart Will Go On’ from Titanic, and Edith Piaf’s ‘If You Love Me (Really Love Me)’. Selim Kagee’s style, a warm voice somewhere between Sinatra and Bocelli, was extremely well received, and his boylike charm instantly endeared him to the audience. He enthralled the audience with ‘Mi Mancherai’, the beautifully melancholic title song from Il Postino, as well as ‘Surrender (Torna a Surriento)’ by Giambattista and Ernesto de Curtis – an intensely romantic piece, filled with longing. Further highlights of the evening included the masterfully executed instrumental solo ‘What a Wonderful World’, performed on a soprano saxophone with great virtuosity by Matthew Ehrenreich, as well as the anthemic ‘My African Dream’, performed by surprise guest Vicky Sampson, which had even the bartenders dancing. Another refreshing surprise came in the form of Camps Bay High’s ‘Sing the Change’ choir, which performed ‘Hear our Hearts, Feel our Minds’, a song written especially for them by Laura Santoni, the visionary behind Sing the Change, an initiative focusing on youth empowerment. A handful of songs were performed as duets and trios, and ‘Can’t Take My Eyes Off You’ had members of the audience standing up, dancing along and making their way to the front of the stage to share in the special atmosphere. Two encores were granted, after roaring applause, and to everybody’s huge enjoyment, the popular songs ‘Sway’ and ‘All You Need Is Love’ brought the evening to a cheerful close. Despite the testing conditions, Katlego Maboe and conductor Brandon Phillips were beacons of joy and enthusiasm during the entire evening’s programme, energising the performers and thereby the crowd. With a sense of humour, an appreciation for great music and an ability to enjoy a love-filled, albeit windswept, Cape Town evening at one of the country’s most spectacular venues, this event was surely not the clichéd romantic night under the starlit sky, but it was certainly one of the most memorable and impressive open air concerts to be experienced on a windy night, and the genuine love apparent between concert-goers lent authenticity to the occasion, a wonderful – albeit unplanned – bonus for a celebration circling around the theme of love. 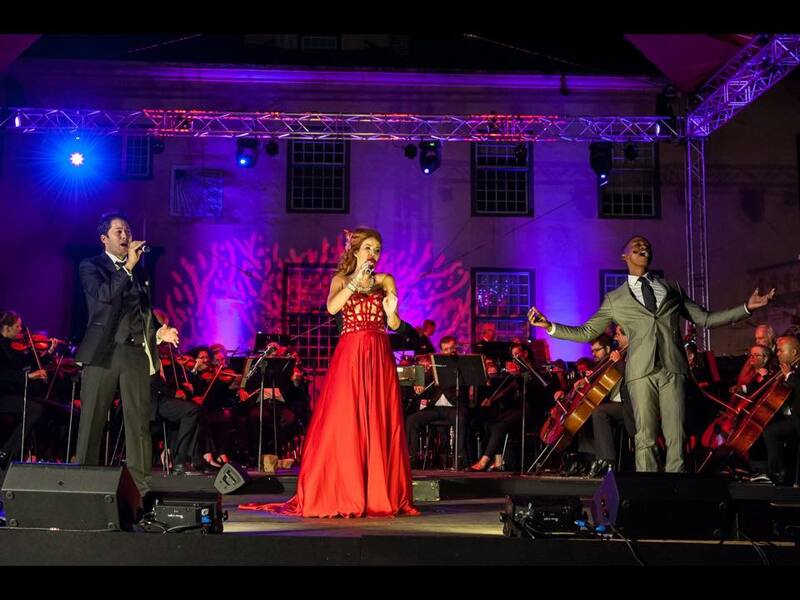 Valentine Under the Stars took place at the Cape Town Castle of Good Hope on 14 February 2015.